A varied and extensive collection of beautiful beanies, wondrous warm woollens, sizzling sun shades and festival felt fancies. 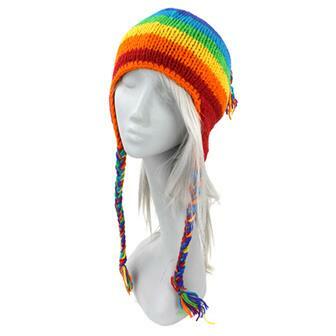 There's something for everyone here with headgear from all around the world in a plethora of shapes and styles! Whoa, that's quite a cap! Bold patches of stonewashed cotton and razor cut fabric in a plethora of colours adorned with simple embroidered designs of peace and Om symbols. Completed with an elasticated back. Perfect if you need to make a statement and keep the sun out of your eyes. 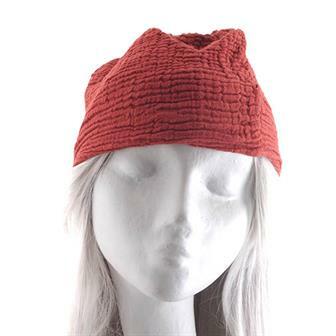 These stretchy cotton hats are made like a special beanie style headband. The design features an open top so is perfect for a ponytail or a bun. 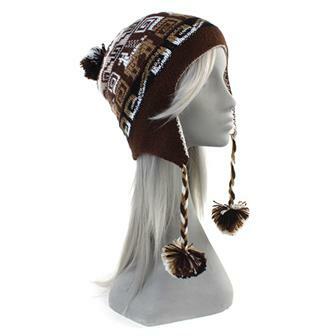 These handmade Peruvian hats use a super soft blend of alpaca and acrylic to create a comfortable winter warmer. Topped with a cheerful pom pom and decorated with a line of llamas. 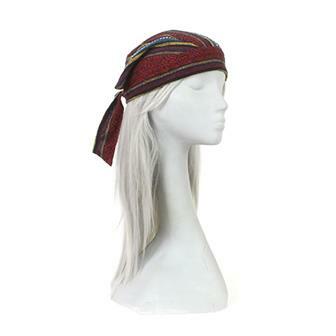 These Thai style do-rags work like a cross between a specially shaped bandana and a cap with a hint of piratey-ness about it. Made in a variety of our special Thai Weave fabric. 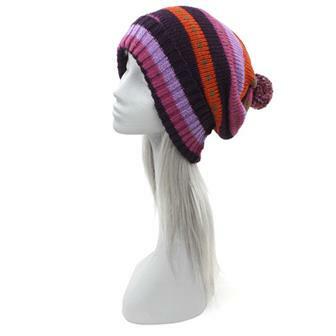 Hand made in Nepal, these colourful beanie hats have lined interior and are great for keeping warm this winter. 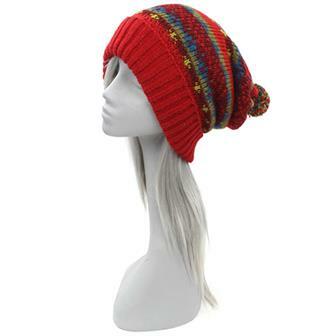 These knitted beanie hats have a rolled brim, a warm lined interior and are available in mixed colours. 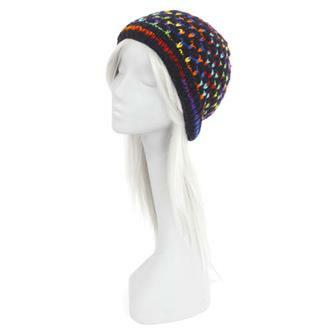 These warm hats are handmade in Nepal and feature a great speckled rainbow pattern. 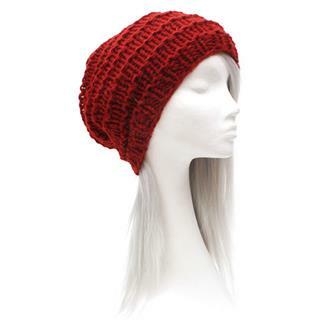 These classic, laidback hats are perfect for keeping your head warm this winter. Available in four different colours, these woolen wonders have a large sized knit pattern making them a firm favourite of those with long or dreaded hair. 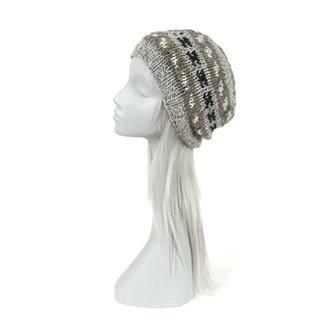 Soft acrylic wool slouch beanie hat with a simple ribbed knit, perfect for people who can't wear natural fibres. Fair Trade produced in Nepal. 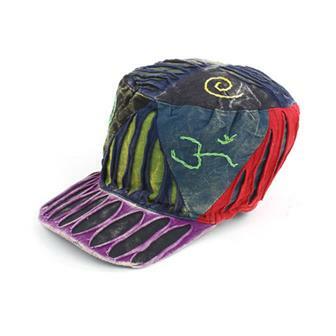 These brightly coloured beanies are made using raw silk giving each one a unique colour range and texture. Part of our wonderful winter woollens range, these great hats are perfect for combating those winter blues with their bold designs, wool knit and fleecy lining. These warming, fleece lined 'tea cosy' style bobble hats are available in four colours. 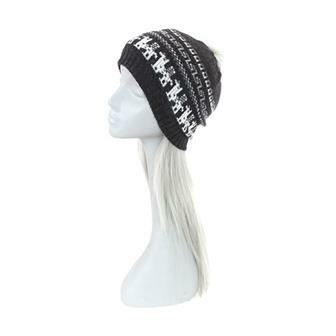 Wrap yourself up warm this winter in these chunky knitted pom pom hats. 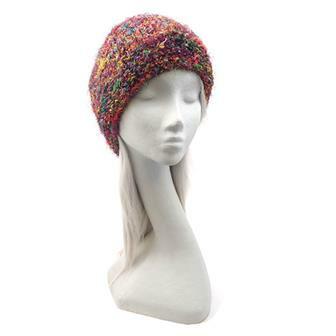 These bright and warm woollen hats feature a snuggle fleece lining around the ears and forehead for added comfort, all the warmth of wool without any of the scratchiness. 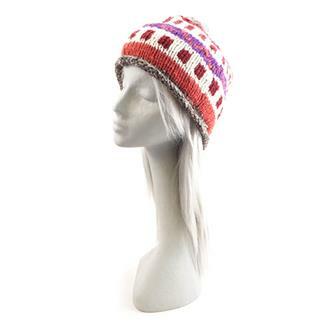 Handmade in Nepal, these are the perfect head gear for brightening up the cold months of winter. 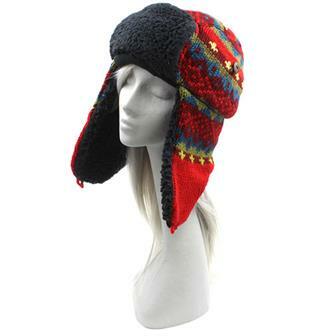 These traditional style Peruvian hats are made from a very soft, warm and lightweight blend of Alpaca wool and acrylic. 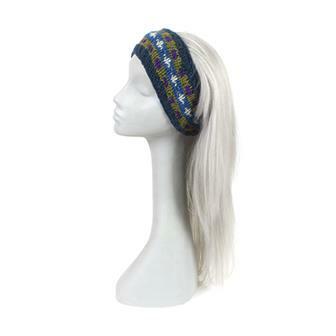 The result is a snug and comfortable head warmer in wonderful traditional patterns. 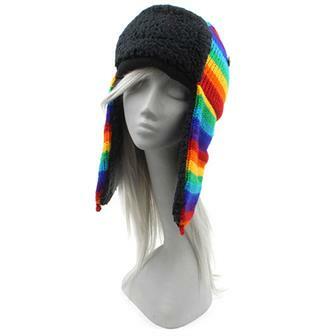 These snug fleece lined hats can be worn with the warm ear flaps either buttoned up to keep them out the way or buttoned under the chin to protect the ears, cheeks and chin from the cold. 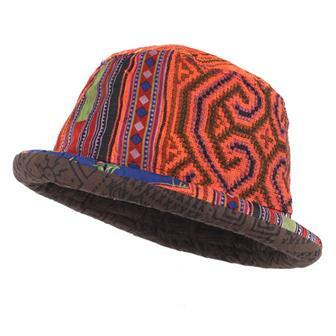 This hat has been made using traditional Thai Hill Tribe material in a rolled, trilby style. One of our best sellers at festivals, these hats are a brilliant twist on a dapper classic, injecting some colour and panache into any outfit. 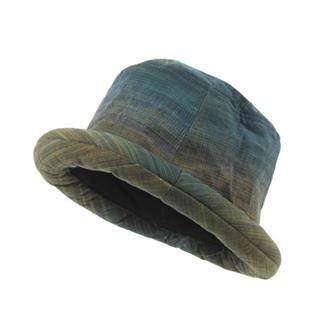 Rolled trilby style hat from northern Thailand. These handmade hats are great sellers at festivals and make excellent, slightly different accessories to complete an outfit.